Students will be using technology to master typing skills essential in today's 21st Century learning society. We will be using Google Classroom and various other technologies to help students learn content and master the ways of navigating through a site (a much needed skill for the CAASPP!). Students will also practice how to be safe digital citizens by only accessing website curriculum approved by the district. After our Workshop time, students will have the chance to practice how to type using Typing Agent, an interactive typing website. Currently, they are learning how to type and how to use the keyboards correctly. 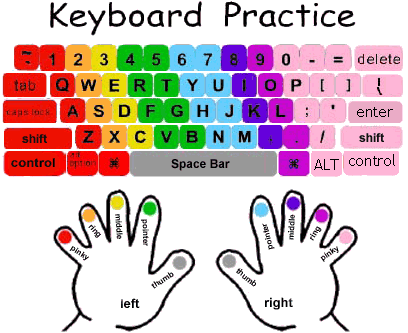 This skill will be emphasized with different typing games. As we start getting ready to implement the Common Core State Standards, the ability to use the computer and type will become especially important and crucial for our 3rd graders in the state of California; as portions of the assessment will be performed electronically by the students. 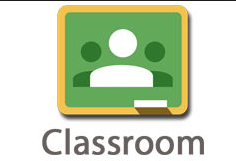 Students will be given a Google Classroom account at the beginning of the school year. Students will be able to use their account to submit and work on curriculum via their school laptops.